We are taking the winter off, but we have big plans for this spring. First of all, I recommend everyone download the free Mobile App from your App Store. 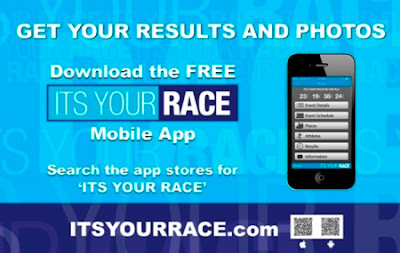 That will provide you registration as well as results including live results as the race is going on and then free finish photo's that you can share on Facebook and other social media. If you were pre registered for the event, your personal results will be e mailed to you just after the race and you can share your photo's with your friends. Our new results page will be in the form of this blog. We'll list the past weekends races with the direct link to the results page. We'll follow it up with the registration links for the next weekends races. We'll update this every week and e mail it to our list of 10,000 runners.